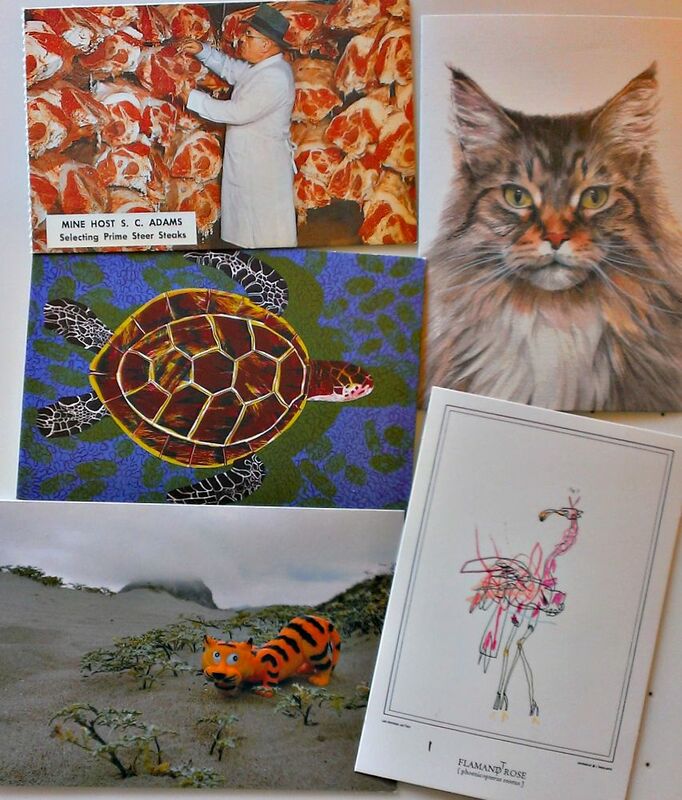 Lots of my Postcrossing cards have reached their destination in the last week–one with the heartbreak of an empty “hooray message”— and my traveling cards have dipped below the halfway point, so I am sending four more out into the world (and by “the world,” I mean “mostly just Europe”). 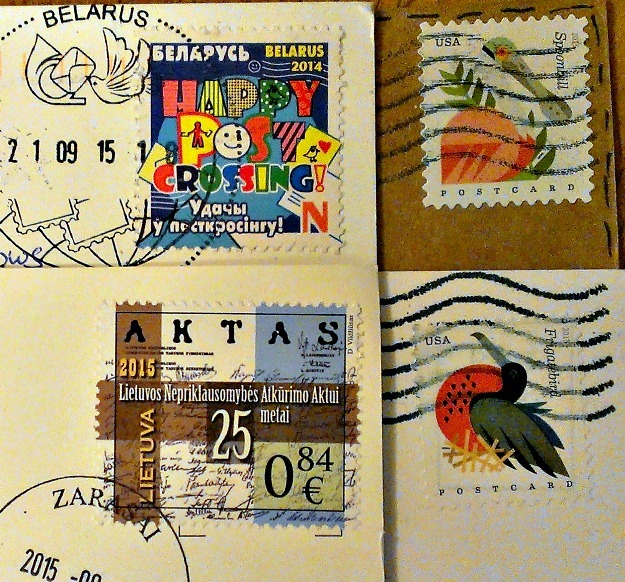 The dancer is going to Minsk, Belarus, to a Postcrosser who said she’d enjoy seeing cards showing dances. I believe this dancer is demonstrating Mexican Ballet Folklórico . The Russian Blue cat is going to Moscow, Russia, to a cat lover with two cats of her own. I would like to receive a real postcard.Thanks! Sorry if I am picky. I venture to ask the following: If you find or if you have little cat figurines which I wrote above… I’m so happy if you can send me one…. would be great to have small cats around the world…. I would be very grateful !!!! 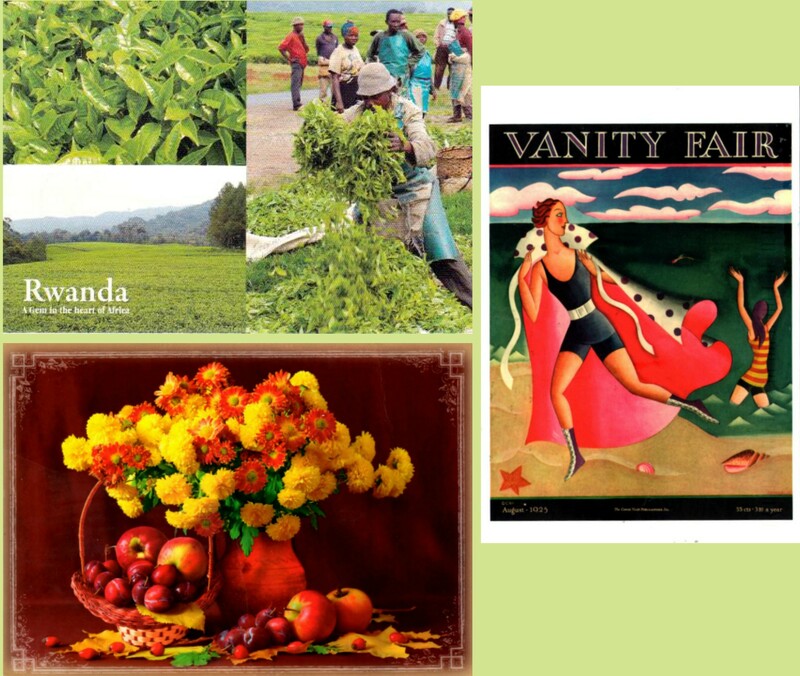 Whoa, I got a card this week from Rwanda! The only postcard interaction I’ve previously had with Africa was with South Africa. 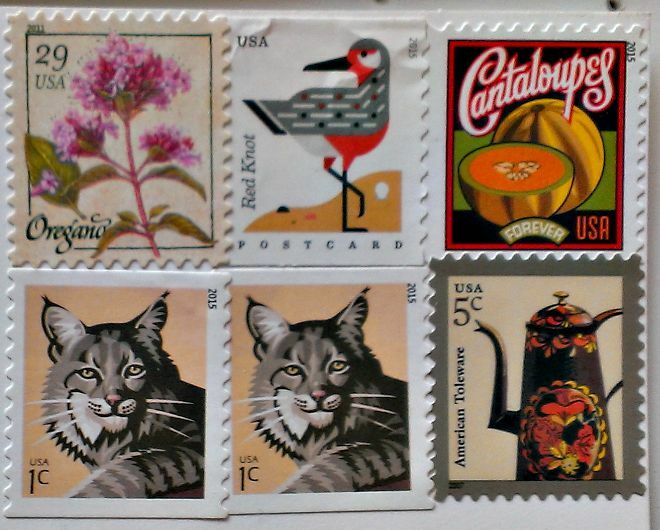 Usually with Postcrossing, it’s EuropeEuropeEurope, so this was a thrill. 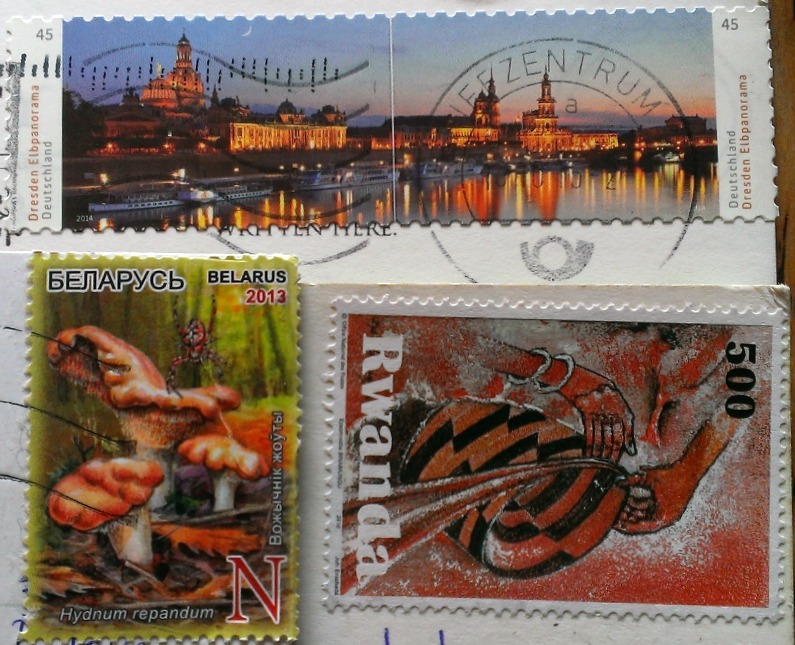 I can tell that getting a card from Rwanda is a true Postcrossing rarity, as their ID codes are still below 200 (compare that to 7-digit codes for U.S. senders). Finally, there is the still life, and a story to go with it. Wha’?!? No, and here’s why: don’t tell me you don’t know what to write to me–and then ask me to send you something! Also, the postcard was half-blank: the solicitation you see was followed by blank space equal in volume to the part of the card which bore writing. Also missing: the Postcrossing I.D. I had to go through the process on the website to provide all the information about the card I could, so that the Postcrossing detectives could hunt down the perp sender. Which they did. Now that I was able to go in & see who she is, I can see she is quite new to the game: she’s been in just over 2 weeks, and mine is only the second of her cards to have “landed.” She also looks quite young: perhaps preteen. Of course, that is no excuse whatsoever: I certainly could have managed to bang out more than 3 lines on a postcard before I started in with requests. I am relieved, though, that this was not an adult 300 cards into the game sending out something like this!